The last update of this was on 15/03/2014. The site at www.Portbook.gr (from here on referred to as Portbook) is the property of private capital company PORTBOOK P.C. Anonymous guests of Portbook, IE users using the Portbook without having a membership account, will be referred to from here on as Users, in contrast to registered users who have personal account and will be referred to as Members. 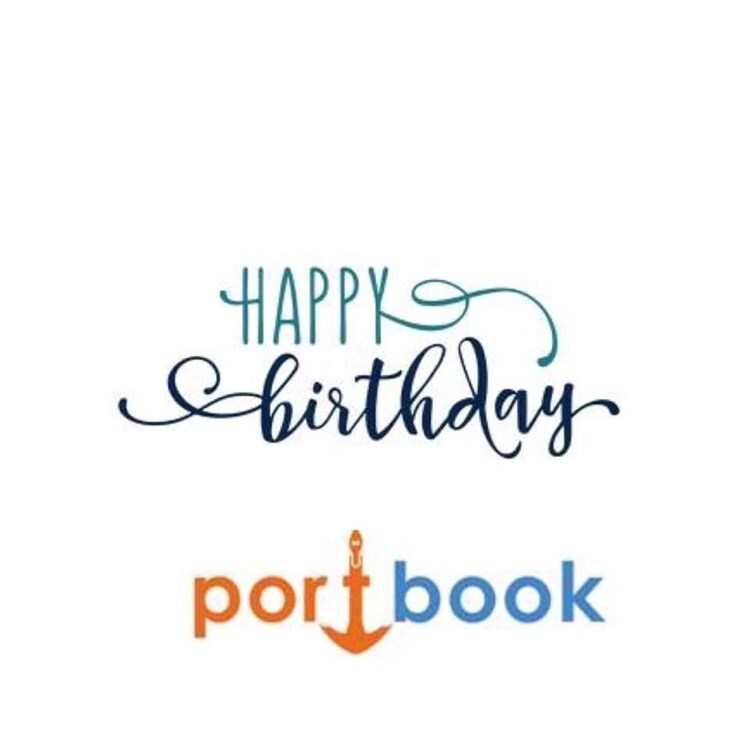 Portbook is a pioneer nautical tourism site, which provides reliable data suppliers, relating to all types of vessels and for all Greek ports. In addition, it provides nautical information and communication for all water sports enthusiasts and the inhabitants of the Islands. Access, usage and the services provided in Portbook is subject to the following terms, which the user must read carefully and make use of the Portbook only if fully accepts and consents to their application. These terms, together with the other legal files of the Portbook (disclaimers, copyrights) are the only binding agreement between the user and the Portbook, applicable as if signed in writing. If a user does not agree with the terms set out herein shall not use the services of the Portbook. These terms, together with the other legal files of the Portbook (disclaimers, copyrights) are the only binding agreement between the user and the Portbook, applicable as if signed in writing. If a user does not agree with the terms set out herein shall not use the services of the Portbook. Portbook cannot in any way guarantee any minimum time for availability of service. In any case, the Portbook will ensure to maintain uninterrupted operation. Portbook takes appropriate organisational and technical measures for data security and protecting them against accidental or unlawful destruction, accidental loss, alteration, unauthorized disclosure or access from any other unlawful forms of processing. Portbook may include hyperlinks (links) to other websites or external pages (e.g. store sites, businesses, actors etc), which are not under the supervision of Portbook but checked by third parties. Portbook does not control the availability, content, policy of protection of personal data, nor vouches for the quality and completeness of the services and products of other web sites referred to via hyperlinks. For any problem arising during the visit/use of such hyperlinks and for any economic or other types of damage to the user he/she should go directly to their respective websites, which bear the entire responsibility for the provision of their services, while Portbook bear no liability thereon. The user is responsible and liable for compensation towards Portbook and its associates, for any damage or injury resulting from the use by Portbook services dishonestly or with way that does not comply with these terms. Portbook has no liability, under any circumstances, for any consequential, incidental, indirect, special compensation or expenses or penalties including, but not limited to, lost profits, loss of information or data, loss or damage to property, and any user claims arise out of or in connection with use of the Portbook regardless if the Portbook had advised, knew or should have known of the possibility thereof. Portbook reserves the right to change, modify, add, delete at any time the terms and conditions under which the user may access the services of Portbook. These terms and any subsequent amendments thereto shall be governed and complemented by Greek law, European Union law and the relevant international conventions. By accepting these terms the user accepts the exclusive jurisdiction of the courts of Athens. For any dispute arising between Portbook and any user the necessary prior out-of-court effort and compromise would be exercised to resolve the dispute. The website at www.PortBook.gr from now on referred to as Portbook is copyright of private limited liability company under the name PORTBOOK P.C and called Portbook.gr in accordance with the law 2121/1993 "on copyright", as amended and in force today, and in accordance with the provisions of European law and international conventions and treaties that Greece has signed. Except for the specified exceptions (copyright of third parties) the database and the entire content of the Portbook, including texts, images etc are copyright of Portbook all rights reserved. Any violation of copyright of authors make the designated in law penalties and sanctions. Indicatively and not restrictively it is forbidden to copy, edit, modify, publish, distribute, commercially exploit in any way, texts, multimedia files, methods and content of the database for any purpose Portbook public or commercial without written permission of the authors. Also it is forbidden to copy, edit, reverse engineer or otherwise make unauthorized use of the software of the Portbook. Any third parties trademarks appear in the Portbook (e.g. logos, trademarks etc) are copyright of their owners. The supplied material to the website www.Portbook.gr (hereinafter referred to as Portbook) is provided "as is" without any warranty expressed or implied in any way about the hardware of the members or of the registered Enterprises and in particular about the accuracy for the specific purpose for which it is registered in the Portbook. In addition, there is no warranty as to the results obtained from the use of the functions of the Portbook. Portbook disclaims any liability including negligence related to the limited time of service (availability), the erase, the bad performance or the inability of electronic storage of any Member's data (personal data, contact details etc) as well as errors due to random events, tort, any form of negligence of the owner and/or the Company cooperating with this persons or force majeure. The Portbook provides no explicit guarantee that the pages, services, choices and content will be provided without interruption (service availability), free of errors, that the servers through which they put at the disposal of users provided without malicious material (viruses, malware etc) and that errors will be fixed. In any case the Portbook his employees or persons associated with it are not responsible towards the user or member for any damage caused to him by the use of the Portbook. User has to take into account that some of the data registers is public thus accessible to any visitor of the Portbook. Any data is displayed publicly in the Portbook (e.g. corporate assessments, advertising images etc) are accessible from the search engines (e.g. Google Search). In the event that the Member wishes to withdraw any content of the Portbook this member (e.g. evaluation) must lodge in those search engines. The Portbook does not guarantee safe use (by third parties) of contact information that indicate the registered enterprises. Portbook is in no way responsible for the quality of products or services offered by businesses and bears no responsibility for the accuracy and reliability of content they post businesses as well as for the space and time of delivery of goods/services of the latter. Portbook is in no way going to send email or call you desiring to deposit a sum of money for buying and selling of products or services which is registered in the Portbook.